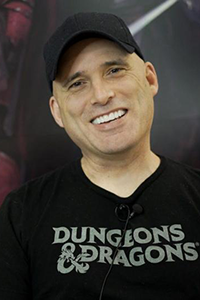 Dice Camera Action with Chris Perkins (@ChrisPerkinsDND) is the longest-running D&D liveplay show on the twitch.tv/dnd channel. Chris Perkins is the Dungeon Master for the amazing group of adventurers now known as the Waffle Crew. In episode 107, the Wafflecrew regroups after the untimely demise of Binwin and finds an ally from the past, Kozin Xorlarren played by Sam Sykes, waiting for them with a proposition to destabilize the Xanathar guild. Subscribe to the Official DCA Podcast on iTunes, on Google Play, or wherever you get podcasts. Watch Dice, Camera, Action! live on twitch.tv/dnd Tuesday at 4pm PT, and catch up on the old episodes in the collection here. To find out more about individual episodes, visit the Dice, Camera, Action! Wiki—created by the players, for the players. Join the #WaffleCrew community on Reddit at /r/DiceCameraAction/. Chris Perkins is a 20-year veteran of Wizards of the Coast and principal story designer for Dungeons & Dragons. He has served as editor-in-chief for Dragon, Dungeon, and written numerous D&D articles and books, including most recently Curse of Strahd. He’s probably best known as Dungeon Master to Acquisitions Incorporated. Perhaps most recognizeable as a host and video games media personality, Anna Prosser Robinson works day-to-day as Programming Manager for Twitch. She's also co-founder of Misscliks, an online community dedicated to providing support and exposure for women role models in geek and gaming culture (where she also livestreams weekly D&D games). She has lots of crazy stories, from moving to Dubai on 3 days notice to work as a lifeguard consultant, to being crowned Miss Oregon USA, to managing an esports house for Team Evil Geniuses. Anna is playing Evelyn Marthain, a human paladin of Lathander. Holly Conrad is an artist and storyteller who writes, streams, creates, and makes YouTube videos. On her journey here she got a degree from the University of Santa Barbara in Medieval History, and studied at the University of Edinburgh in Scotland specializing in folk magic and Medieval literature. These days she spends time rescuing pigeons, streaming, and playing Dungeons & Dragons. 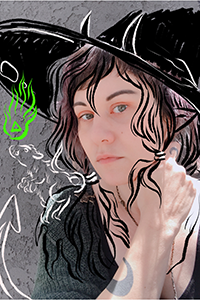 Holly plays Strix, a tiefling sorcerer and trash witch, on Dice, Camera, Action, the official Wizards of the Coast D&D show. 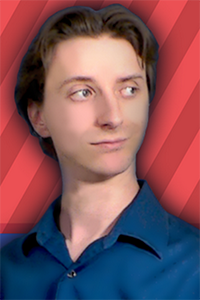 ProJared is a reviewer, comedian, gamer with an emphasis on RPGs and retro games—most people have never heard of! Jared is playing Diath Woodrow, a human rogue he's played in several previous campaigns. 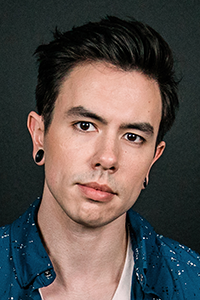 Nathan Sharp is a Korean-American voice actor, musician and songwriter best known for his music-oriented channel, NateWantsToBattle. Covering a wide array of songs, his music portfolio totals up to over 200 compositions and renditions that range from parodies of popular hits to English renditions of anime openings to music about video games and anime to his original album "Sandcastle Kingdoms" released in March 2017 that charted on iTunes #1 Alternative Albums and Billboard’s Heatseekers Chart. His channel has amassed over 1.2 million subscribers and 300 million unique video views. His voice can be heard in Luck & Logic as Yoshichika Tsurugi, Attack on Titan as Marcel, Gapri in Fairy Tail: Dragon Cry, Dream Daddy: A Dad Dating Simulator as Craig Cahn, Shantae: Half Genie Hero as Bolo, Midboss's 2064: Read Only Memories as Chad, Heintz in Atelier Firis, Skip Beat! as Imai, Kieran from the original animated series Indigo Ignited, Pinstripe as George the Dog from Atmos Games, as well as Mobile Suit Gundam: Iron-Blooded Orphans, One Piece, Rurouni Kenshin, Puzzle and Dragons X, Cheer Boys, Disastrous Life of Saiki K, Handa-kun and Endride. Nate is playing Paultin Seppa, a human bard.